Robotics possesses a wealth of educational value on its own, and robotics can drive the innovation of STEM education. When students apply their own creativity, ingenuity, and enthusiasm to their work, they build more than just a robot. Makers learn how to start interacting with our hardware and software. Becoming familiar with basic coding commas as well as how to use the hardware is key to establish a strong foundation (3 projects). Makers start the process thinking about problems and learning how to solve them. Start combining components with our kit to start working multi-purpose functional robots (4 projects). 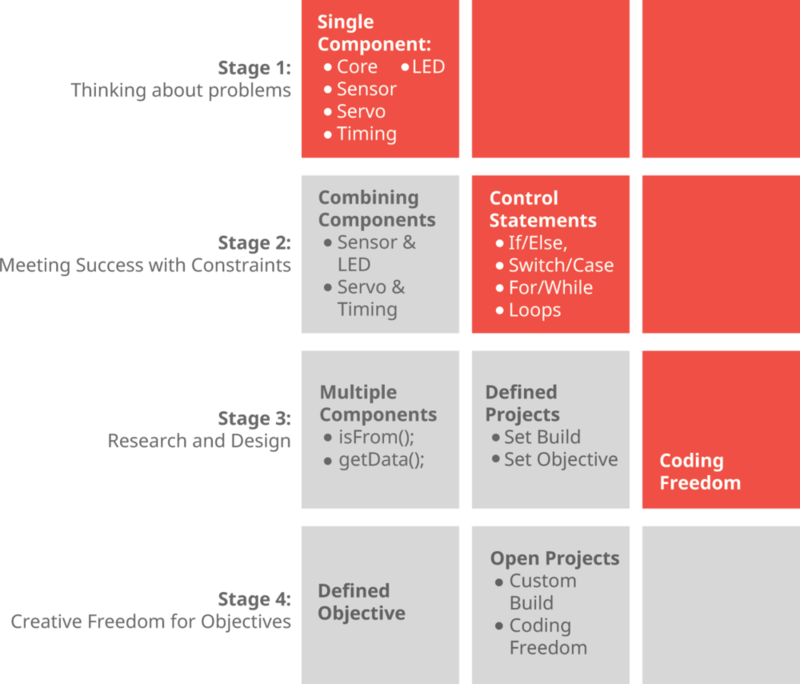 Now that you have the basics and have completed some complex robots now it is time to start connecting external knowledge to apply to projects (7 projects). Here is where makers imagination takes the experience to new heights. Makers are asked to work on projects where all of the previous stages of learning outcomes are applied to complete robots that can either be fun or have an impact on the world (3 projects). We can’t wait for makers to get their hands on our more advanced curriculum which will accompanied by an additional add-on kit to complement the Origin Kit. Project will consists of makers building their own remote control robots and much much more. In a 30-minute webinar, Derek will walk you through ROBOTERRA's curriculum solution for middle schools and high schools.